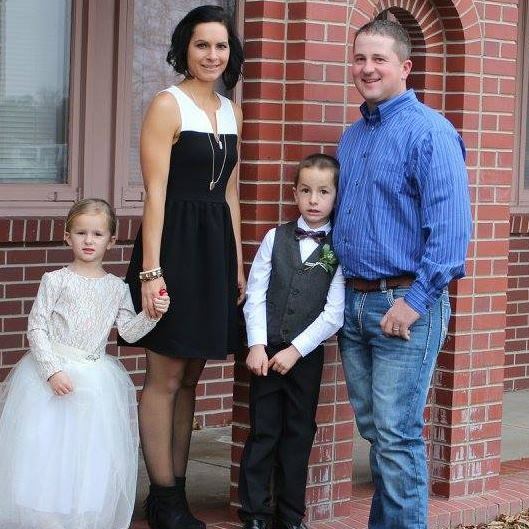 Ryan and Stephanie Stromberger of Champion, Nebraska live on the Family farm and Feed Yard with their two children Conner (9) and Taya (7). Ryan is the 3rd Generation operator with his Father, two brothers Brock and Tanner and Sister Jordan. Operation consists of irrigated corn, wheat and edible bean production / a cow calf operation and cattle feeding operations. Ryan’s main focus in the family operation is managing the Feed yards. Ryan serves on the Chase County Fair board and past FSA board member. Stephanie is a transplant to the area after being born and raised in Central City on her family farm. Stephanie owns the Woman’s Gym in Imperial, serves on the Freedoms Foundation Board, helps with Christ Academy at the Lutheran church, involved in 4-H livestock showing with their children and volunteers anywhere she can. Ryan and Stephanie are enjoying seeing their children get involved in the family operation also. 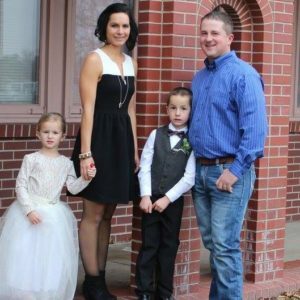 They are honored to serve as Co-Chair for the 2019 Cattleman ball as Cancer has touched both their lives.